There's plenty of room for all kinds of items in this stylish Office Star Products bookcase. Accessible open storage provides ample room for displaying framed photographs, knick-knacks, books, and other objects. Sturdily constructed, this Office Star Products standard bookcase is a great addition for your home. Limited Warranty. Office Star Products warrants to the original purchaser that this product will be free from defects in materials and workmanship for 90 days from the date of purchase. For complete warranty details and exclusions visit www.officestar.ca. You can contact us at 1-866-382-9998 or parts.canada@officestar.net. Pro-Linea has all the elements to create a modern and refined work environment. The clean lines of this collection bring a fresh look without compromising functionality and durability. This storage unit offers metal legs and two shelves, one of which is adjustable. This unit meets or exceeds ANSI/BIFMA performance standards. Finished back. Pro-Linea has all the elements to create a modern and refined work environment. The clean lines of this collection bring a fresh look without compromising functionality and durability. Deluxe thick PVC edge. The credenza features metal legs and four shelves, two of which are adjustable for additional flexibility. This unit meets or exceeds ANSI/BIFMA performance standards. Pro-Linea has all the elements to create a modern and refined work environment. The clean lines of this collection bring a fresh look without compromising functionality and durability. Deluxe thick PVC edge. The credenza features metal legs, one utility drawer, one file drawer with letter/legal filing system and three shelves, one of which is adjustable. The clean lines of this collection bring a fresh look without compromising functionality and durability. The table features a durable 1.5 inch commercial grade work surface with melamine finish that resists scratches, stains and wear. 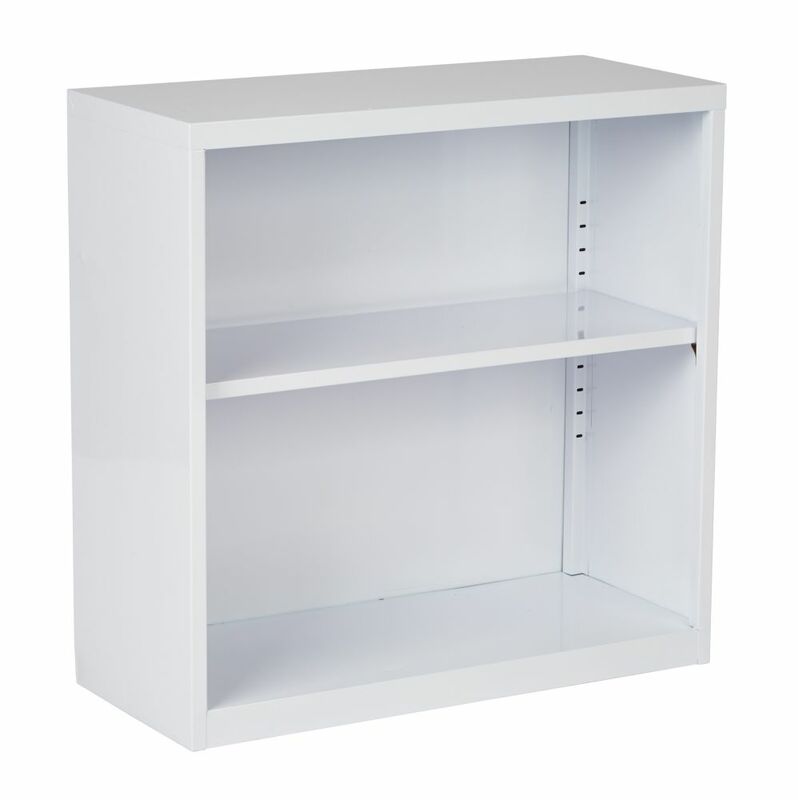 The 2-shelf bookcase and the lateral file feature a durable 1 inch commercial grade top surface with melamine finish. Fully assembled, the lateral file offers two file drawers with letter/legal filing system. The 2-shelf bookcase has two shelves, one of which is adjustable. The table features a deluxe impact resistant PVC edge. Square metal legs in matte silver finish. The Legs feature levelers to adapt to any floor irregularities. This set meets or exceeds ANSI/BIFMA performance standards. Table : 71.1-inch(W) x 29.5-inch(D) x 29.9-inch(H). Lateral File : 35.6-inch(W) x 19.5-inch(D) x 28.4-inch(H). 2-shelf bookcase : 35.6-inch(W) x 19.5-inch(D) x 28.4-inch(H). 28-inch x 28-inch x 12-inch Metal Bookcase in White There's plenty of room for all kinds of items in this stylish Office Star Products bookcase. Accessible open storage provides ample room for displaying framed photographs, knick-knacks, books, and other objects. Sturdily constructed, this Office Star Products standard bookcase is a great addition for your home.